One step forward, two steps back might be how some iOS 6 users feel right now. 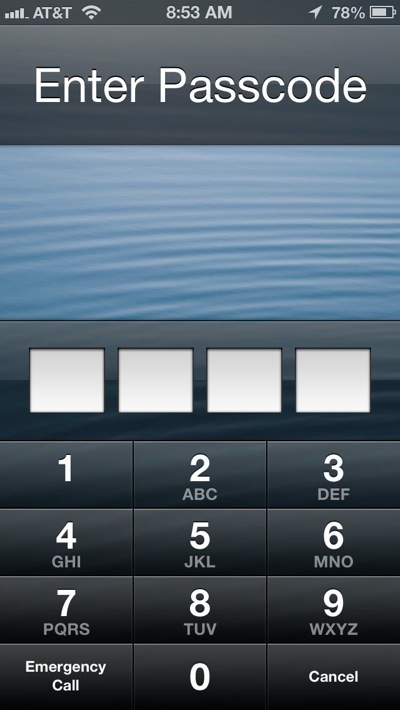 In addition to the previously reported bugs in iOS 6 effecting battery life and Microsoft's Exchange Server, add lock screen by pass 'trick' to the list of Apple headaches. "Reached for comment, Apple said it is hard at work on a fix. “Apple takes user security very seriously” spokeswoman Trudy Muller told AllThingsD. “We are aware of this issue, and will deliver a fix in a future software update.”"
Apple is working developing a fix for the by pass bug (which has happened before with iOS 4.1) as well as the bug with recurring meeting invitations sent from users of Microsoft's Exchange Server.